Halon fire extinguishants have an impending production phase-out hanging over them. Due to this, Kidde Fire Protection have developed the GX20 system using the FM-200 (Heptafluoropropane) as a replacement for Halon 1301, ideal for applications that require an environmentally acceptable fire extinguishing agent, suitable for use in manned areas. Physical means are how the FM-200 extinguishes fires primarily. 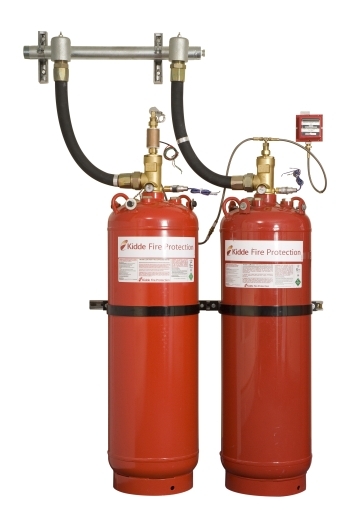 FM-200 has properties which function well with traditional Halon 1301 equipment. FM-200 exhibits a boiling point of -16.4°C as compared to a boiling point of -57.8°C for Halon 1301 and is a colourless gas at standard conditions. The liquid density of Halon 1301 at 21°C is 1.32 kg/L and for FM-200 is 1.12 kg/L. The characteristic that determines the amount of agent that can be safely stored in a given cylinder is the maximum fill density. 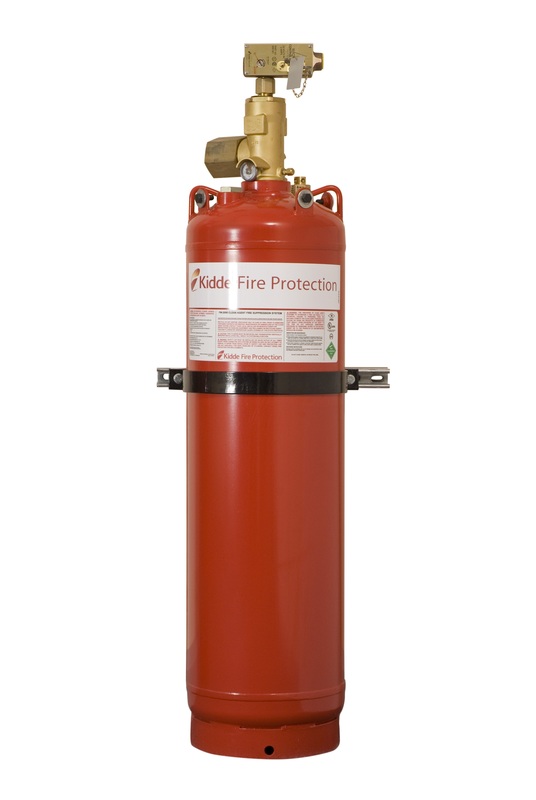 Kidde Fire Protection advises that the maximum fill density for a cylinder of FM-200 pressurised with nitrogen to 360 psi is 1.15 g cm-3. Accordingly, the storage capacity for FM-200 is around 1.5 times that of Halon 1301, the closest of all viable replacement agents. The potential of the agent to cause cardiac sensitisation should be examined, when determining a safe exposure level to any agent intended for use in occupied spaces. The test protocols set up by the US Environmental Protection Agency have been met and the FM-200 has been cleared for use in occupied areas at the normal design concentration. It is clearly understood that any agent that is expected to be available for use in the market on a long term basis would have to offer zero ODP, due to the concerns over stratospheric ozone protection which have developed in recent years. The FM-200 has an ozone depletion potential of zero, as it contains no chlorine or bromine and does not possess the properties associated with the compounds thought to damage stratospheric ozone. In the absence of excessive moisture, the FM-200 is not expected to react with common construction materials such as metals and polymers. 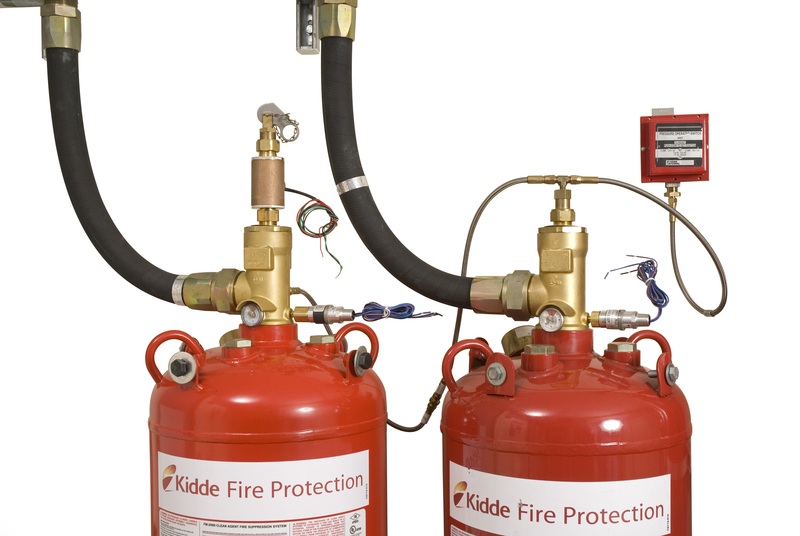 The Kidde FM-200 is a very stable compound and tests show that elastomers such as some EPDM materials and nitrile compounds perform well with FM-200.